Paul Frost, the Owner, and operator of SERVPRO of North Central Mesa is a fantastic person to work alongside. When it comes to the type of services we provide most people don't realize the heartache that can happen after a water, fire or mold loss. We've had countless compliments and cheers about our production team and our office staff. The one man who stands above us all is This man. Paul Frost, he's a grandfather for almost 30 grandkids at the age of 54. 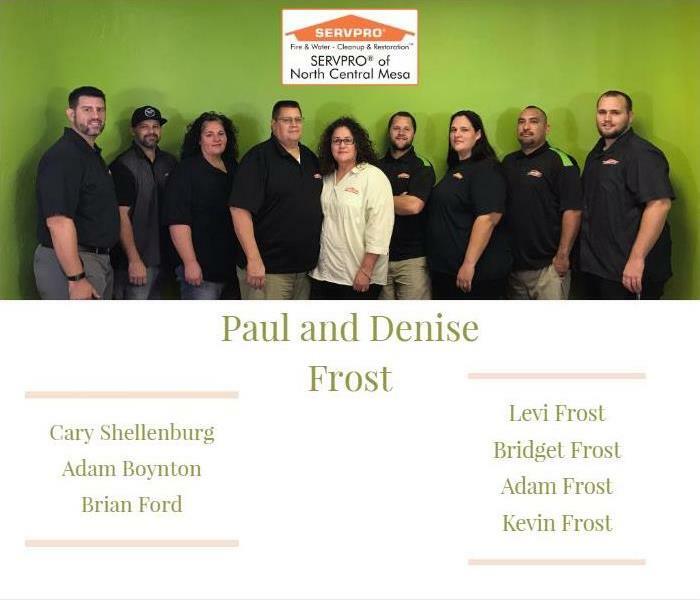 With that many family members, you can understand where the Frost Family SERVPRO franchise comes to play. Not only are we a large team, but we work great together. It takes a team to make a business run. We've had great success as a company and in order to have success in the way we've had it. It's important to remember where you started and to know where you're going. 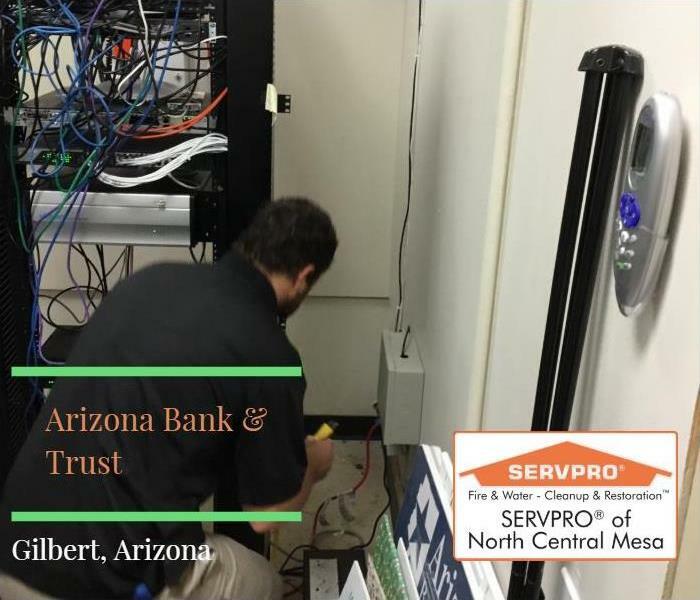 Here at SERVPRO of North Central Mesa, we believe being prepared is the easiest way to stay informed and to keep you from losing important things in a water damage situation, storm loss, or even from Mold damage. Imagine thousands of gallons of water just rushed through your home or business. What important photographs, paperwork, and memorabilia lost forever and destroyed because the damage that the water would cause. Having standing water sit in your home just a couple of day's without any drying and Mold growth can start to form. 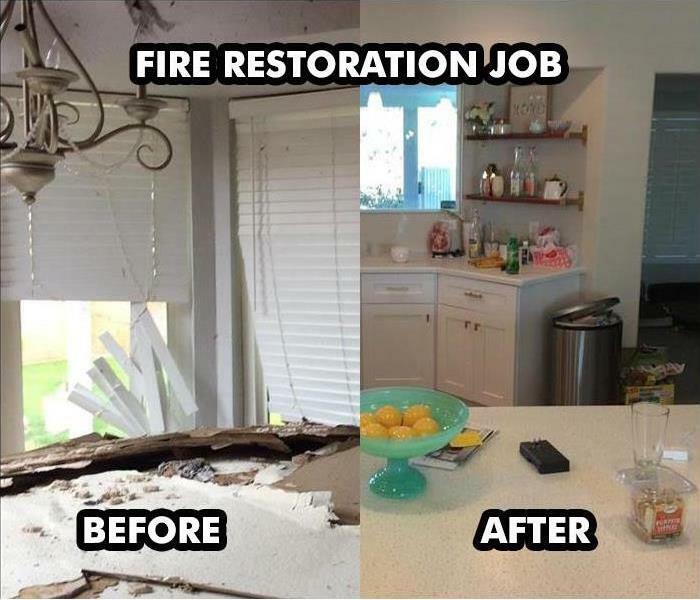 Any situation where you could use Restoration services, you want a company that will take care of anything and everything for you — all at the same time as arriving promptly and on time. 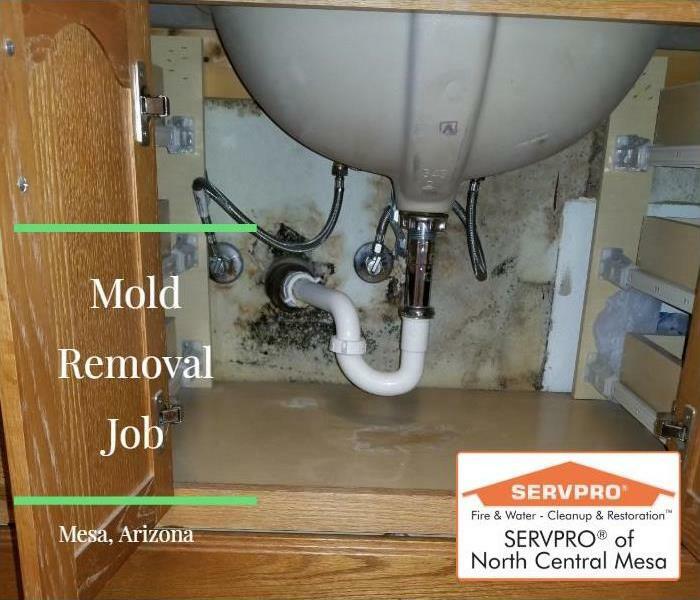 This was a mold removal/remediation job performed by SERVPRO of North Central Mesa in Mesa AZ. The underneath of sink areas is one of the most common places for mold to grow. The reason for this is that mold thrives in dark, damp places. Make sure to check for mold or water issues at least once per quarter. If you have time, checking once per month is preferable! 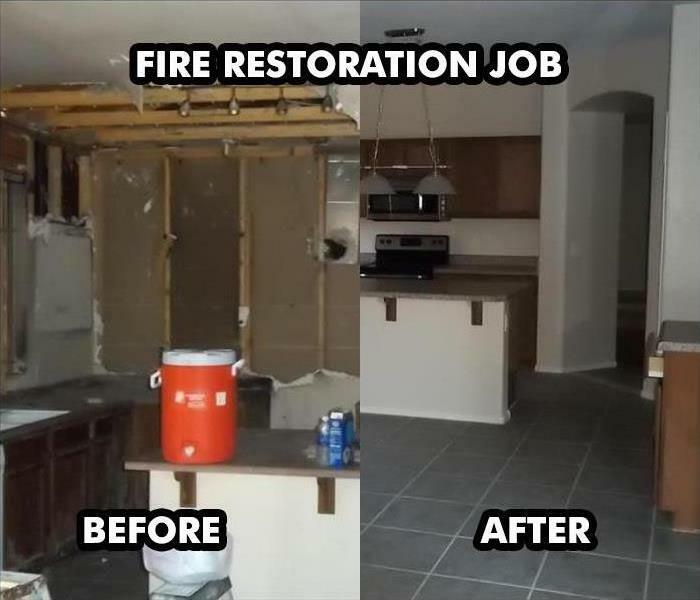 This was a fire restoration and reconstruction job in Queen Creek AZ by SERVPRO of North Central Mesa. The fire was contained to the garage area and only damaged a small portion of the inside and outside of the garage. 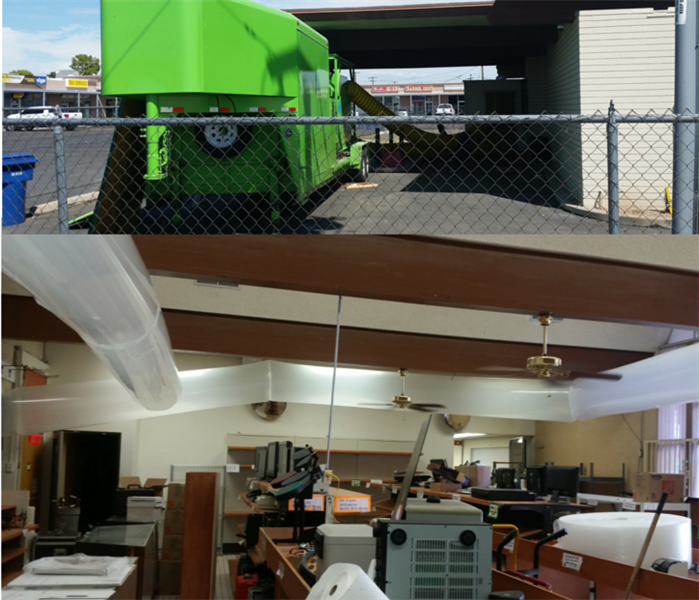 This was a fire damage restoration and reconstruction job by SERVPRO of North Central Mesa in Phoenix, AZ. The fire was confined to the upper kitchen ceiling but there was smoke damage throughout the apartment. This was a mold remediation job by SERVPRO of North Central Mesa at Arizona Bank and Trust in Gilbert Arizona. 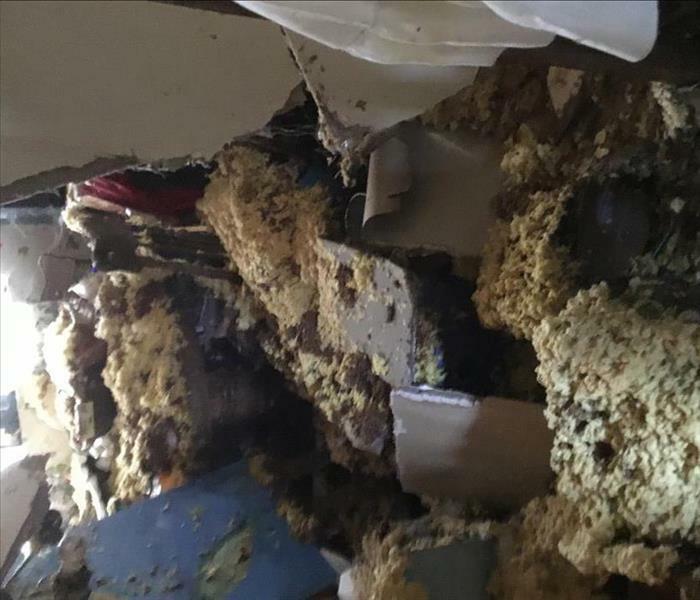 They had a mold growth issue in their electrical room. We were able to take care of the mold quickly and were in and out in just a few hours. 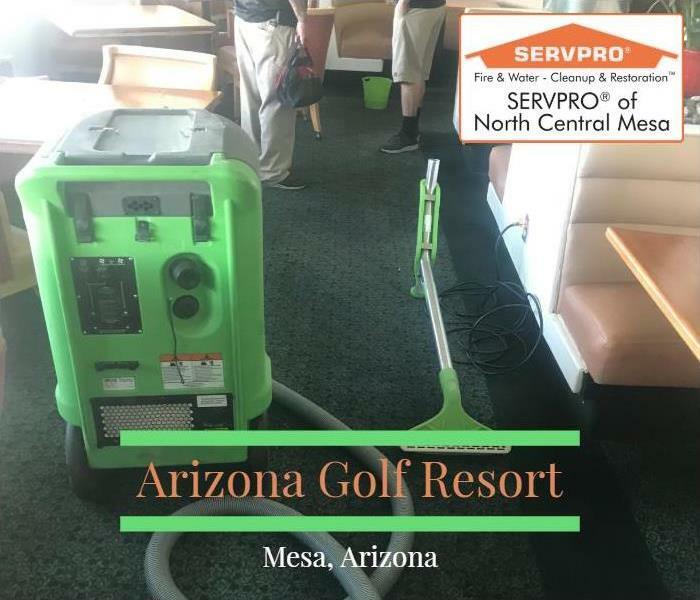 This picture was from a water extraction job by SERVPRO of North Central Mesa in Mesa, AZ at the Arizona Golf Resort. The flooding was due to a summer monsoon storm common in Arizona. 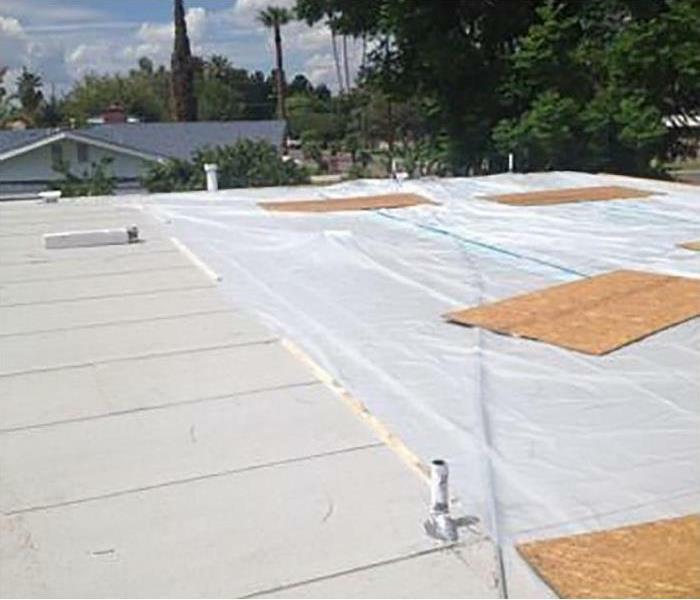 The job consisted of water extraction and roof tarping. Getting help to get through a crisis. Just a great thank you note from one of our customers. 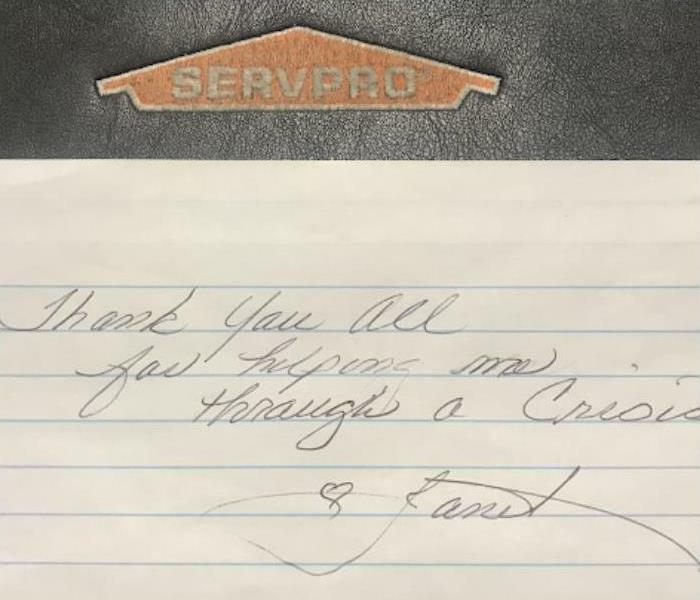 It reads “Thank you all for helping me through a crisis.” If you're in a crisis give us a call (480)5537103 and we can help you through some of the toughest times in your life. 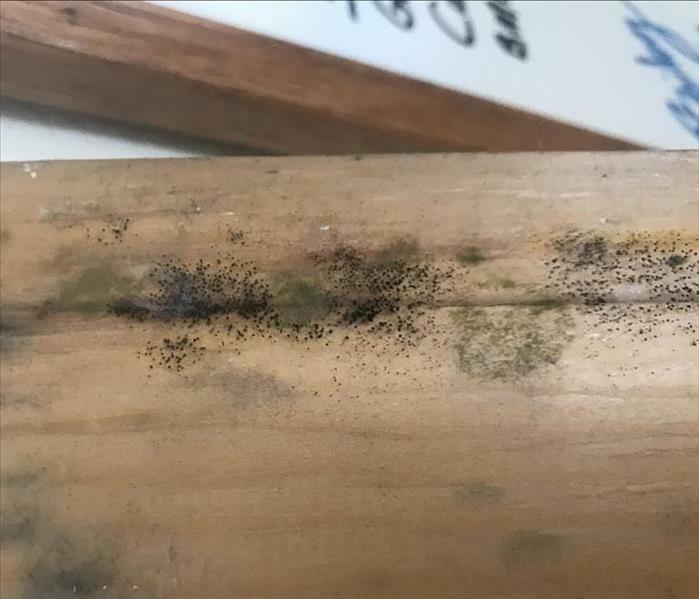 Flooding water through your home, Fire and Smoke damage through your home or business, and when you find out that the weird smell you've been smelling in the bathroom wasn't you, it was mold. 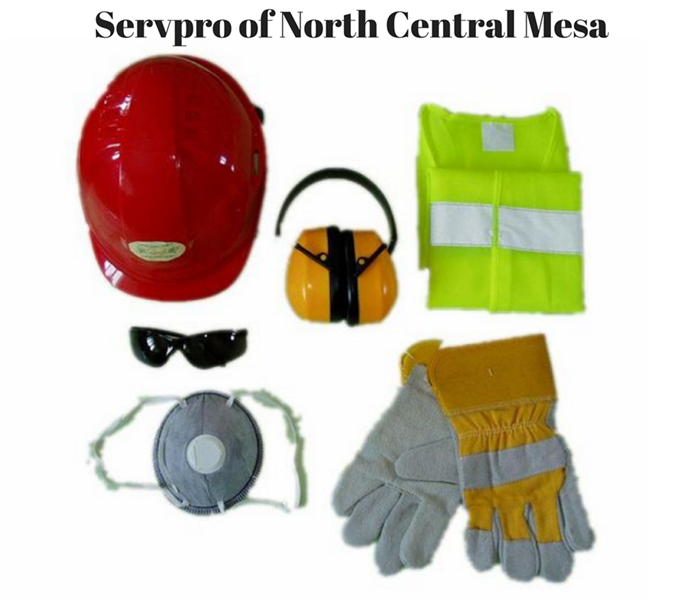 SERVPRO of North Central Mesa will come by free of charge and help any way we can. When people ask themselves what contractor should I trust to do the work on my home or business they have a variety of things that cross their mind. The big one is price, but what about everything else. Quality of work, background history, insurance requirements, what kind of documentation do they use, or even what type of billing to do they have set up? Out of all the concerns you should have, something you don't have to be concerned about is whether or not they care about my project or me as a person. We treat you like family, and as if you are our neighbor. We are here locally to help as best we can. If you are in need and want a contractor who cares, look no further. 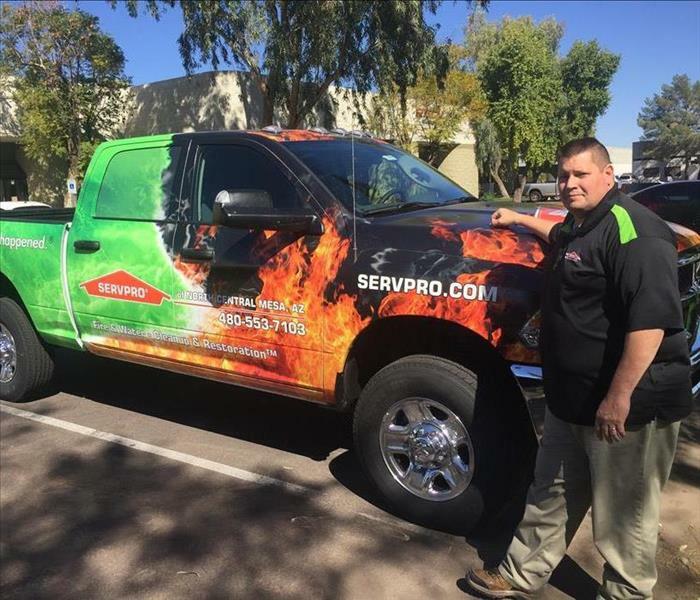 SERVPRO of North Central Mesa is here to help, holiday season or not, call the business that's "faster to any sized disaster," and that makes it "Like it never even happened." Give us a call and see how we can help. (480) 553-7103. This monsoon season has been a rough one. We've seen multiple losses like this one. 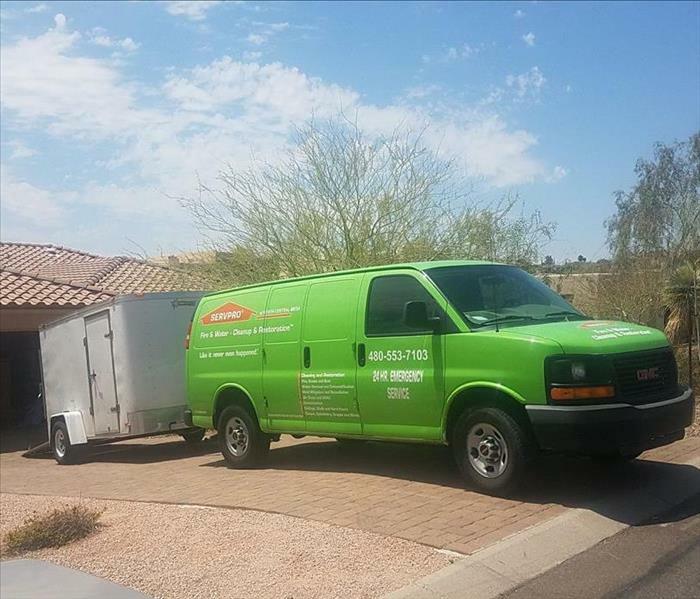 From cactus falling onto houses to trees from the school next door smashing into mobile homes, SERVPRO is there to make it "Like it never even happened." If you are ever in need to take care of some storm damage we are here to help. Check us out online to see if there is anything else that interests you. 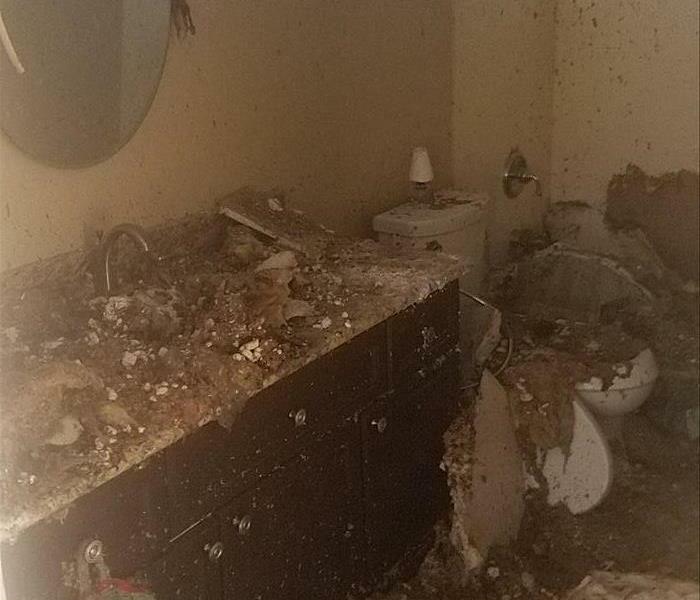 Sometime in August this Mesa home was intruded by its sprinkler system. Something had gone wrong, seriously wrong. A sprinkler head had been knocked cockeyed and was spraying directly at home. Within minutes the pressure from the sprinkler had created a whole into the house. The hole was great for all the insects and pest that wanted in, not so much for the homeowner. If you ever have a freak accident that caused damage, give us a call (480) 553-7103. This picture shows how mold can spread from a water issue initially only affecting the carpet and flooring. The house, in Fountain Hills, AZ, was vacant for 3 months because the owner lived up north for the summer. Mold usually starts to grow within 48 to 72 hours from initial water damage, then spreads like wildfire. The cost to remediate the mold and restore the structure was significantly affected by the amount of time the mold had to grow. If you have a property in a location that you do not live in, it is a good idea to have someone check in on the property regularly to make sure these types of issues don't happen. 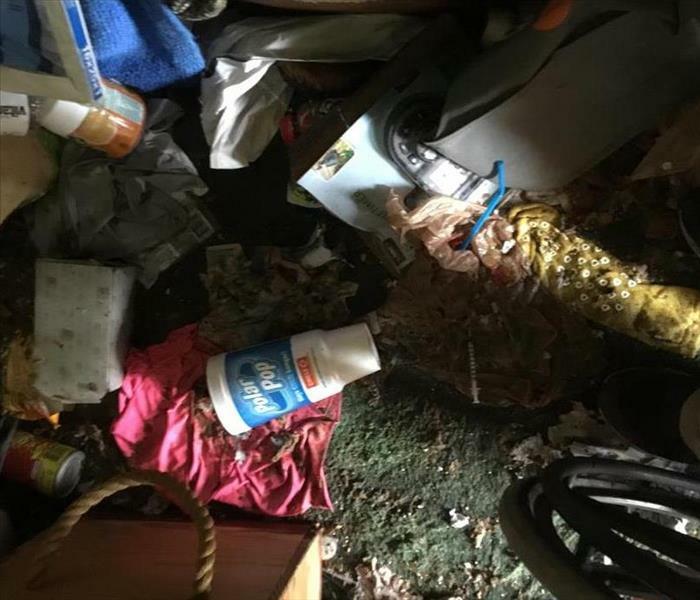 This was a water damage loss that occurred at the house of a hoarder in Mesa, AZ. Hoarding is an issue that has gained a lot of attention lately in the news and on popular tv shows. The water damage, in this case, caused almost everything in the house to become non-salvageable because it took so long to begin to pack it out that mold ran rampant through the whole house. Mold generally starts to grow within 48 to 72 hours after water damage has occurred. Look for our blog post on the hoarding house for more information! 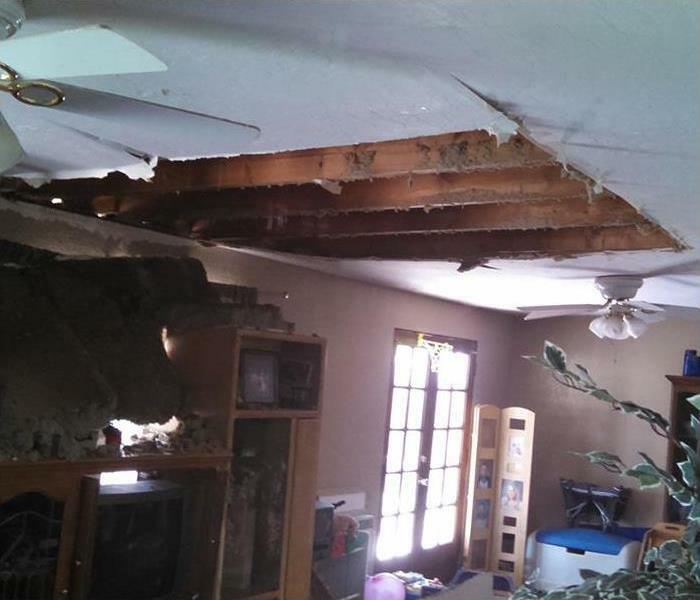 This picture was from a water damage job SERVPRO of North Central Mesa worked on in Mesa, AZ. One of the issues from the cellulose insulation is that when it gets wet it also gets extremely heavy. 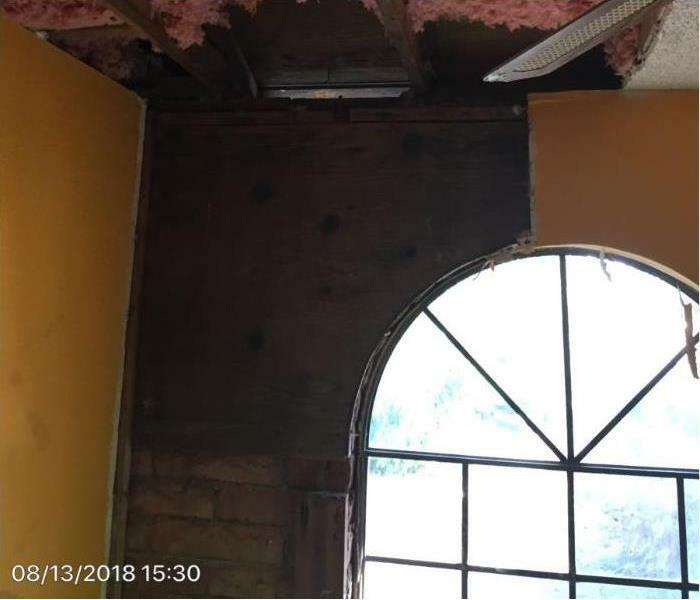 This is especially an issue when there is a roof leak and the insulation in the ceiling gets wet and brings the inside structure of the roof collapses from the weight. 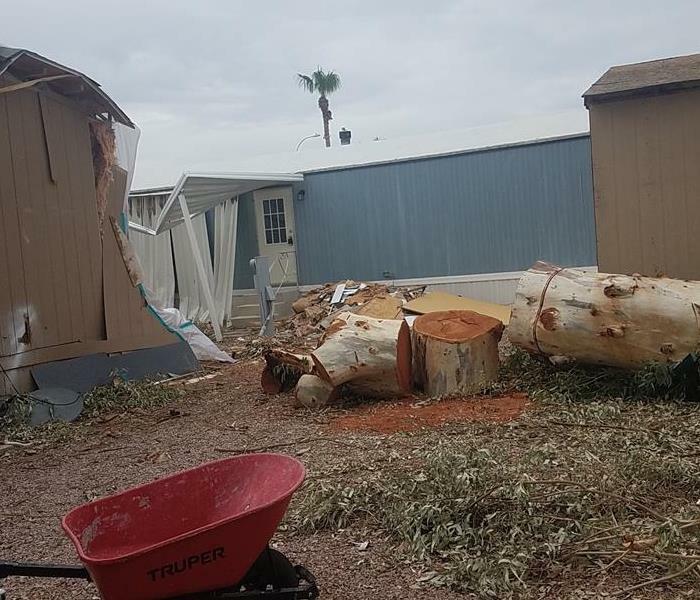 As a result of a monsoon storm in Mesa AZ last week, this home was pummeled by a huge tree from a neighboring school that fell due to the strong storm winds. We spent all Saturday packing out the contents of the house with no AC. That was fun! a Demo scope and work should begin this week! On this job, we had to remove most of the contents of the house into the garage to pull up flooring that had started to delaminate. (Delamination is the process of the primary backing of the flooring separating from the secondary backing of the flooring.) The delamination was caused by a water damage from a recent storm. In the fall of 2014, Chandler AZ was hit with a huge storm that set a 75-year record for rainfall in the valley. In its wake, tons of houses were left damaged. 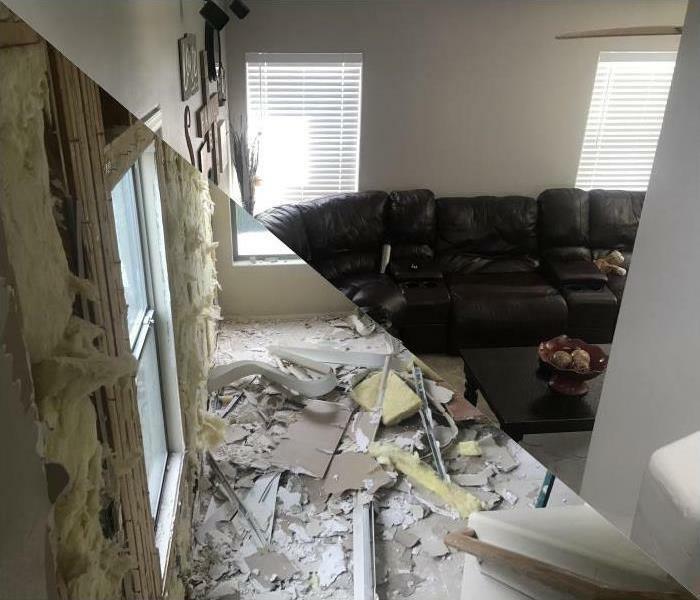 SERVPRO of North Central Mesa worked with other restoration companies in the area to help Chandler residents recover from the storm. This is a picture from one of the houses we restored. in Sept of 2014, Chandler AZ had a massive storm hit that nearly shut down the city. 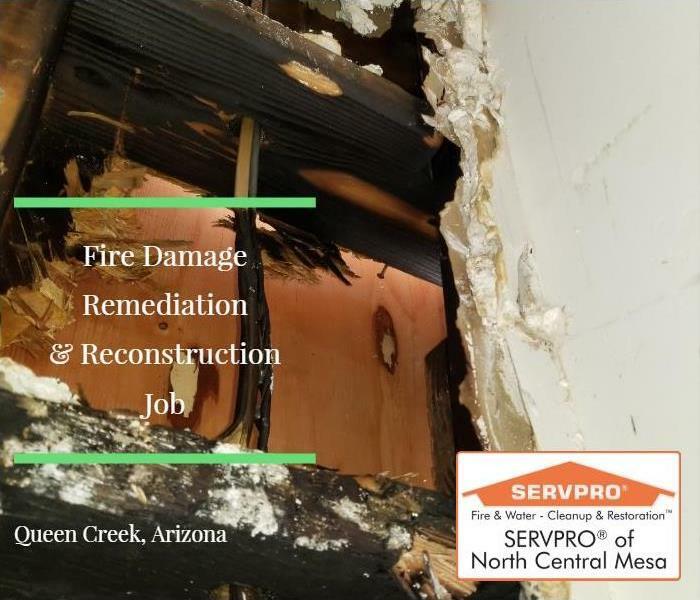 SERVPRO of North Central Mesa worked along with other SERVPRO franchises to help homeowners recover from the damage from the storm that affected everything from the rooftops down to the base flooring. This is a picture of a tarped roof from one of the houses we worked on. 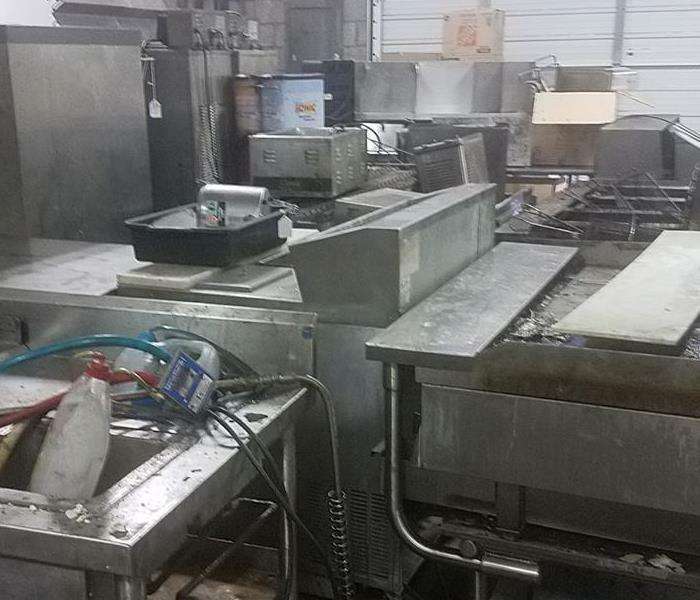 This is a picture of the kitchen equipment from a Sonic Drive-in Fire in Gilbert AZ. The cause of the fire was a fire that started out in the fryer. 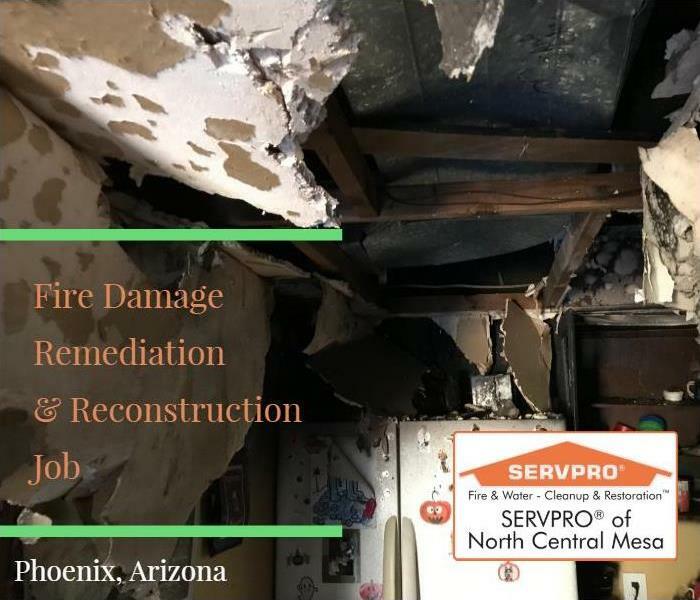 Part of our job at SERVPRO of North Central Mesa is to work with the insurance adjuster and go through the equipment to see what can be salvaged and what can't be salvaged. Fires are never a fun thing to deal with. But sometimes they bring some welcome change. This homeowner had been planning on doing a kitchen remodel for years and had never gotten around to it. This gave them the motivation to do just that. This picture is from a kitchen fire in Mesa AZ. The fire was caused by an oil splash that caught on fire while the food was cooking unattended. Make sure that you NEVER leave food cooking unattended and always have a working fire extinguisher close by! This was an arson fire in Chandler AZ from 2017. The flooring was covered in insulation which fell from the ceiling when the firefighters were putting out the roofing. The whole roof construct was completely charred and needed to be replaced. This was a mold removal job up in the Rio Verde Arizona area. The mold problem was caused by a leaking water heater in the garage. Make sure you are doing a visual inspection of your water heater at least once a year. If you see something that looks suspicious, have a professional come check it out for you! Mold Issues from water damage. 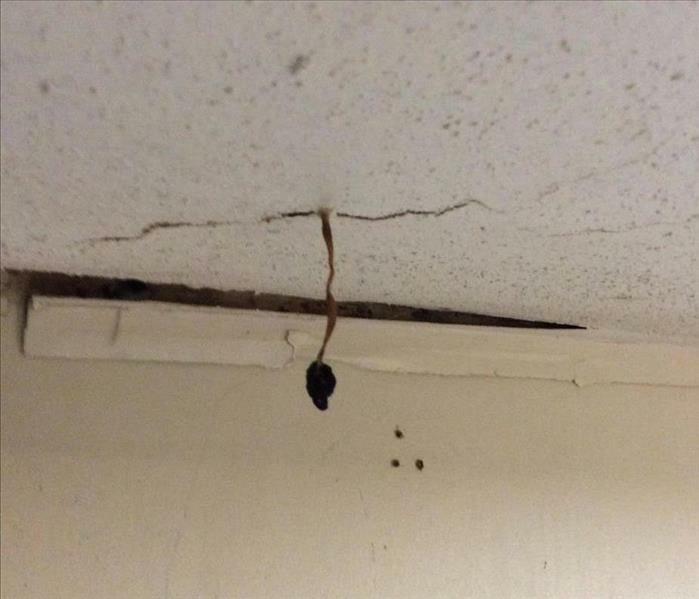 One of the reasons water damage issues need to be taken care of quickly is because they can lead to mold growth pretty quickly. 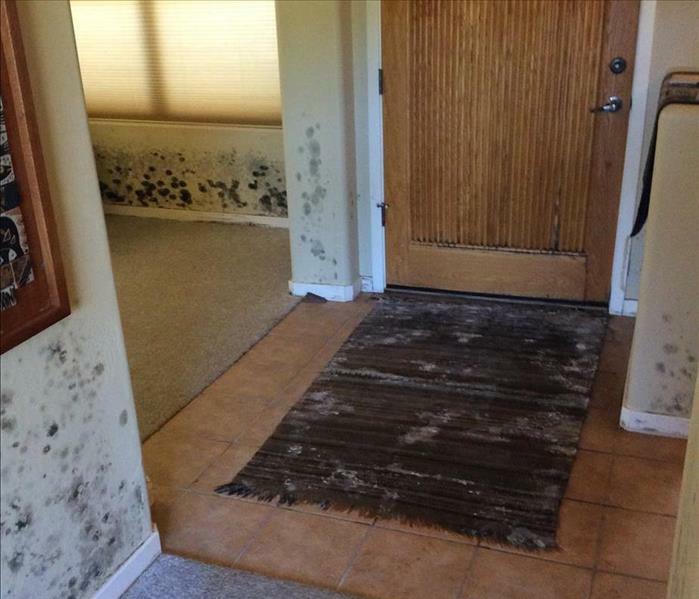 We have dealt with a lot of mold remediation jobs in San Tan Valley, AZ whose primary cause was a water damage issue that was not taken care of promptly. 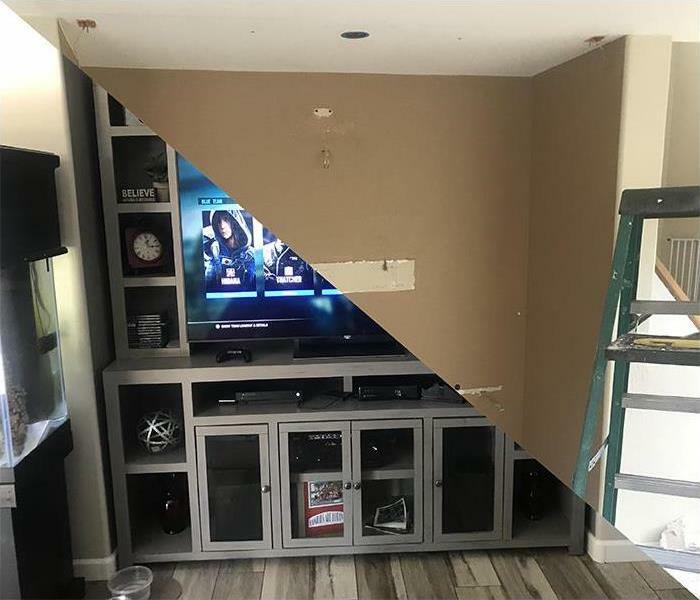 Entertainment Area Reconstruction from Water Damage Job. 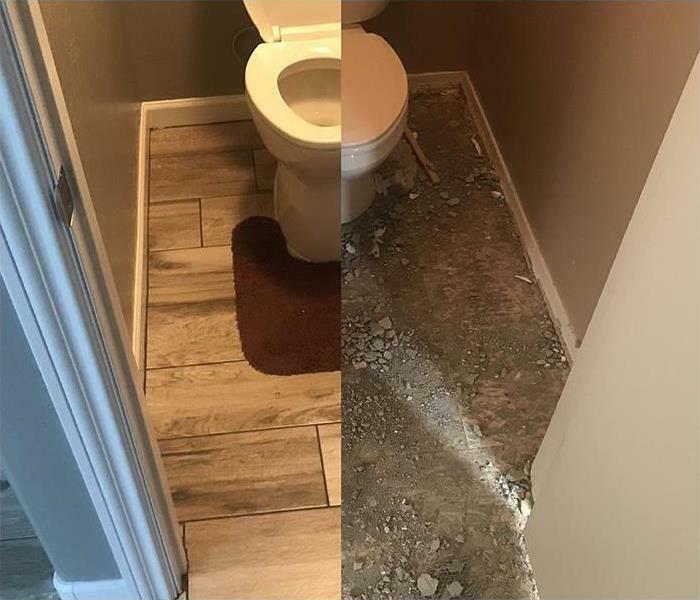 This is a before and after shot from an entertainment center area from a water damage restoration in San Tan Valley, AZ The cause of the water damage was a faulty toilet shutoff valve. 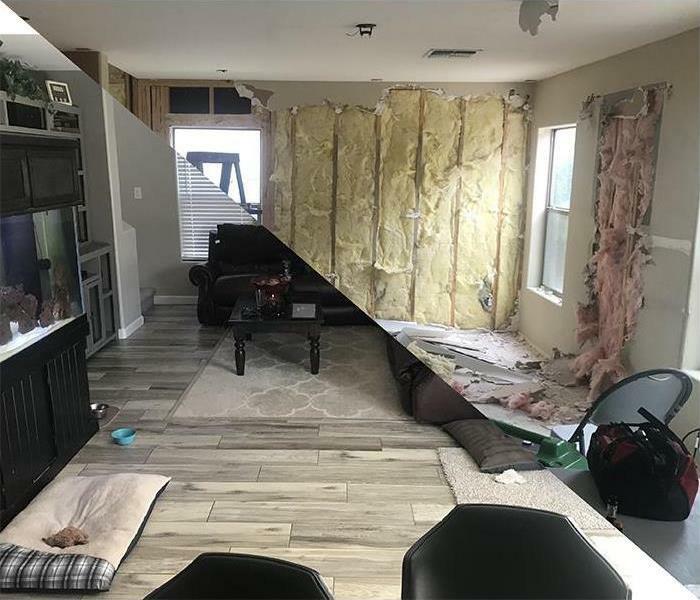 This was a before and after from a water damage restoration and mold cleanup job in San Tan Valley, AZ Mold often forms as a result of water damage issues not being taken care of in a timely manner. 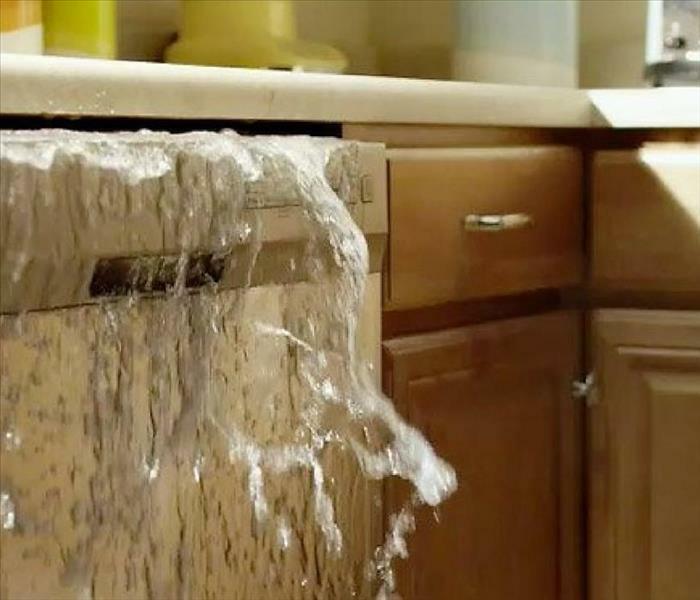 If you think you have a water damage issue, no matter how small, make sure to call SERVPRO of North Central Mesa at (480) 553-7103 so we can come check it out for you. 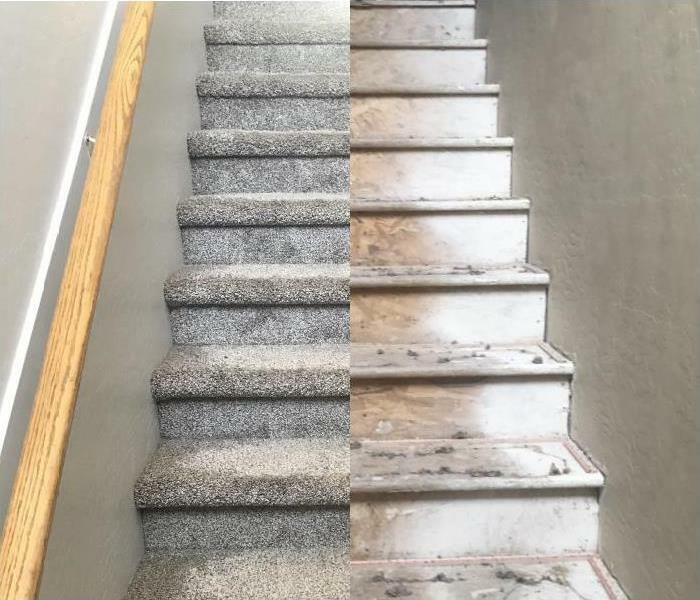 SERVPRO of North Central Mesa client in San Tan valley AZ had a flood in the top floor that caused the whole bottom floor to be restored. This is a picture of the stairs. 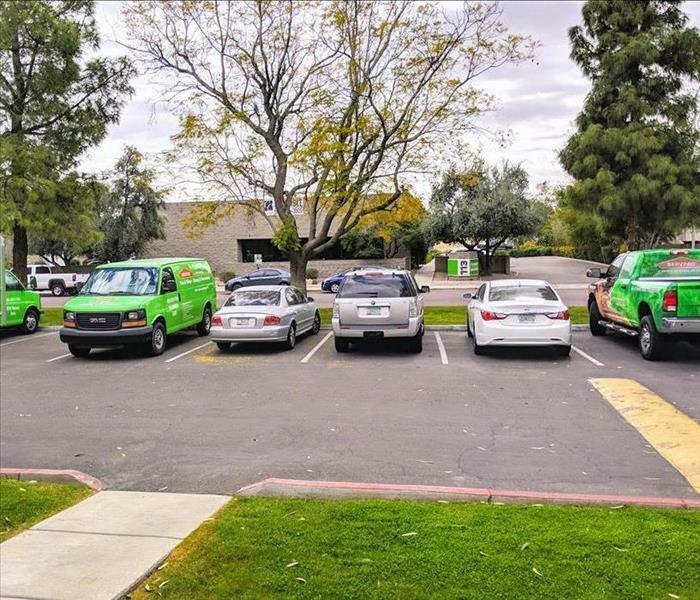 Here at SERVPRO of North Central Mesa, we truly are updated and equipped with the most current technology. Storm damage can be catastrophic. We make sure that safety is our number one concern, and so should you. 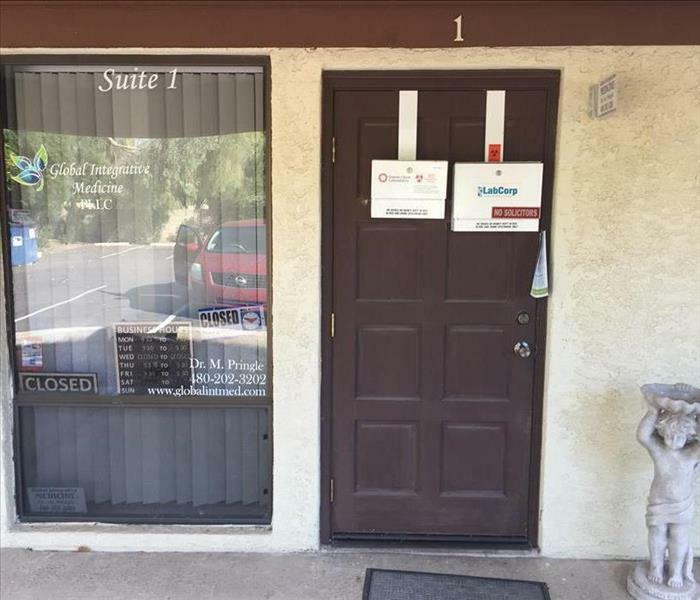 This is the store front of Dr. M. Pringle Medical Practice. She is an entrepreneur, who works with medicine from across the world to help others. She had a water heater issue at her office that required some Professional help. With just a quick phone call our SERVPRO team went into action and were there to help. Most household floods and water damage are caused by plumbing or appliance failure. Having the dishwasher flood your kitchen, especially while you are gone is a dreaded nightmare to renters and homeowners that can add up to hundreds or even thousands of dollars in repair costs. Make sure that Appliance maintenance is done quarterly to insure your household items are safe and fully functioning. 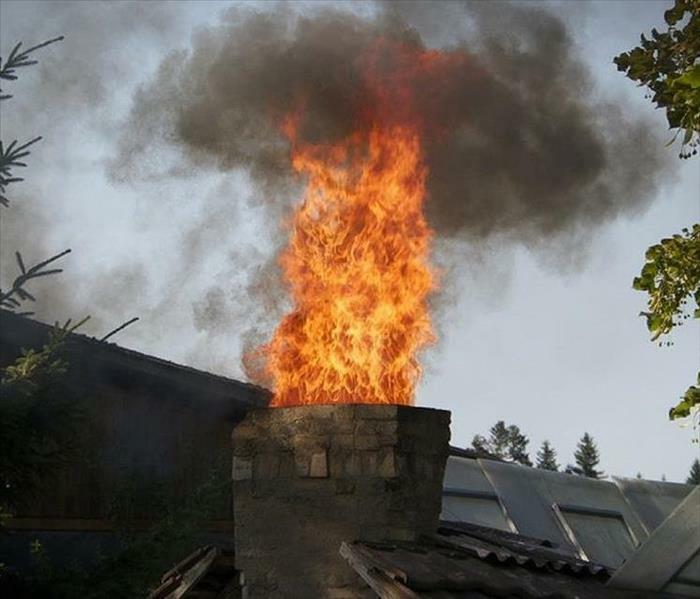 Did you know chimney fires account for over $120 million in damage every year? As you prepare for colder winter months, be sure to get your chimney cleaned. What to do, well your already in the right place. Give us a Call and see what SERVPRO, could do for you. Virtually everyone has one type or another of mold somewhere in their home. Although not all types are toxic, it is sometimes difficult to distinguish types without lab testing. That is why it is imperative to treat and remove all molds as if they're potentially harmful. Yes this is indeed a moldy mushroom. 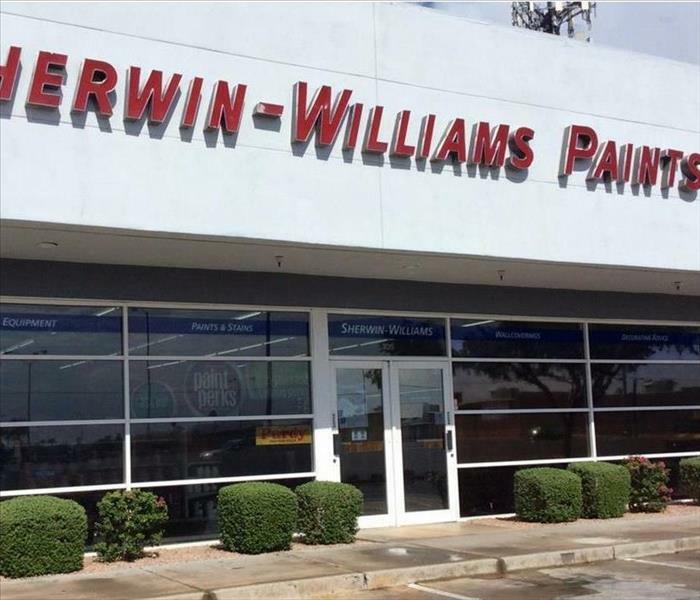 This is the Front of the Paint Store Sherwin-Williams located off of Main street in Mesa, Arizona. The recent storm's have taken a tole on some of the Local business. If you or another business has had any issue's with your Commercial building give us a call, and we'll make it "Like it never even happened." Remetronix is a new vendor for our SERVPRO team, which provides quality restoration services for high-tech equipment damaged by disasters such as fires, floods, environmental contaminants and construction debris. They can also help with Preventive Maintenance. It can be scheduled on a daily or weekly basis and can save on costly future repairs. 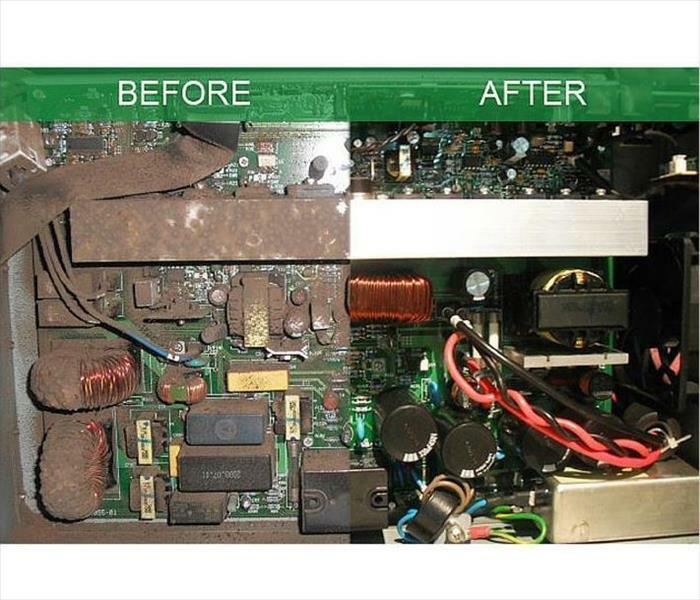 They’re helping SERVPRO be able to handle any size disaster, from a large commercial fire, to a small single circuit board. 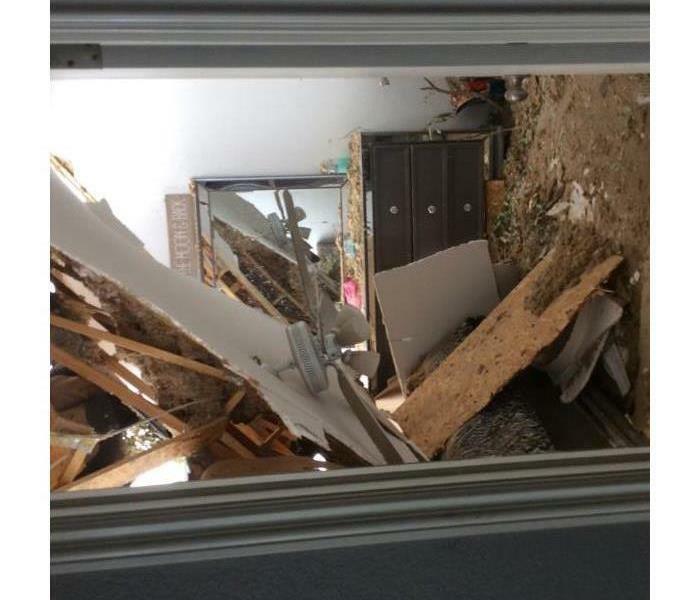 After a microburst in Mesa this pawn shop's roof had some serious issues, which then caused water to get in their duct system. Once they realized how big this job really was they called the people they could trust most. That of course was SERVPRO of North Central Mesa. Once we got inside and took some samples, it turned out they also had asbestos. When we find out that there is asbestos in a building, it requires quite the extensive amount of protection. We have to call a third party to come out and take more samples, then there is the extra protective equipment we use. Long story short, it made a big step back from opening doors. This refrigerator is just one part of a double wide trailer that had been sold off in a silent auction. The owners got it for a great price, that was until they finally went inside to see their spoils. Turns out some animals left some smelly presents for them, along with some expired cheese in an unplugged refrigerator. Shortly after finding this, the owners called the people that they trust most. SERVPRO of North Central Mesa arrived on scene, ready to clean. 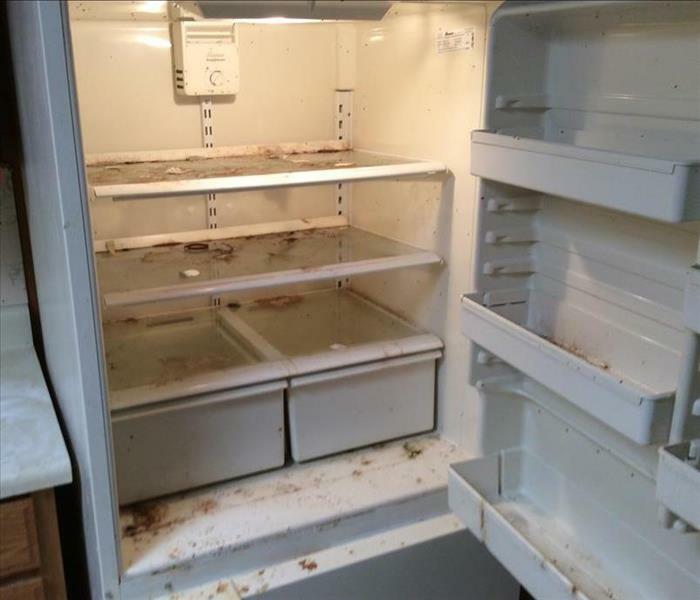 After a month of the refrigerator not being on, the cheese started to mold and maggots started to form all over. Cleaning was not easy, but definitely doable. A Haboob had hit Mesa during January 2016. A pawn shop was hit hard by this storm and ended needing some help. They called SERVPRO out and we quickly responded.The Pawn Shop’s items started to get affected by the weather. So in order to keep all of the contents of a pawn shop at the proper temperature, we used a SERVPRO Reefer truck. This truck uses a refrigeration system that helps keep guitars, sound systems, video game consoles, etc. at the proper temperature while construction was going on. It was much needed vehicle we're able to supply and get for the company. After two months, the mitigation, reconstruction, and remolding had been completed. They were so happy that we took such good care of them that they ended up doing a video testimonial for us. So what is huge piece of equipment, and all this random plastic every where? This is a large desiccant dehumidifier, it has a moisture absorbing wheel inside the unit. The wheel is made of silica gel – which is the desiccant (drying) element. Air enters the unit through an opening and travels through the silica gel impregnated wheel. When the air reaches the other side of the wheel it is dry and pushed out of the unit by a high static blower. Bottom line: It's perhaps the most effective method available of controlling humidity and/or removing moisture from structural materials, hardwood flooring, and providing structural preparation prior to applying coatings. 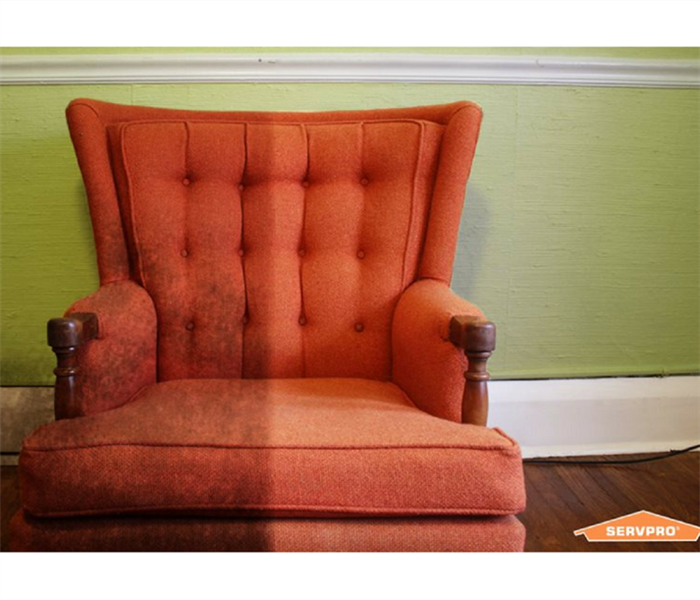 How often do you think couches and seats need to be cleaned? It depends on many different factors like how much it's in use and if you have pets and animals. In reality, they should be cleaned just as much as your carpet, both attract dirt and debris.